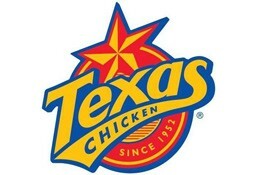 Texas Chicken is currently closed for delivery and it will open at . But you can place advance order now. Toasted 5” Seeded Bun, Honey BBQ Sauce, Spicy Mayonnaise, Shredded Lettuce, 2 Sliced Tomato, 3 Sliced Beef Bacon, Pepper Jack Cheese, Original Fillet Seasoned with Lemon Pepper Seasoning.